Regardless of your gender, you have both the masculine and feminine energy within you. It’s part of your nature, of who you are. Your masculine side allows you to become action oriented, competitive, and direct while your feminine side allows you to become intuitive, creative, and receptive. Having one energy extremely dominate over the other creates disharmony. Your role is to balance these energies within you. The masculine and feminine energies are not separate from your chakras, but rather they both play a role in each of your chakras. The masculine energy dominates your odd chakras and the feminine energy dominates the even chakras. If you find yourself to identify mostly as one of these 7 archetypes it means that the chakra the archetype represents is out of balance. it means you overuse its energy. If your energy flows freely you should be able to embody all the archetypes. 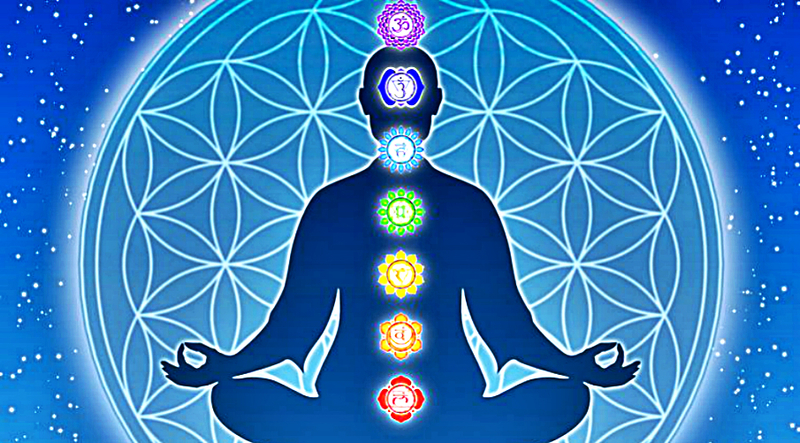 If it’s blocked you will lack or over identify yourself with the chakra the archetype represents. Meditate with these archetypes whenever you feel a specific chakra has a need. Focus on what the chakra represents and call on the related archetype to tap into its power and bring balance into yourself once again. How to know if you are this archetype? You identify yourself as the provider, the one carrying everyone on its back, you are overly serious. Your first chakra is the masculine energy of the strong father archetype. It’s related to grounding, safety, and stability. It’s the energy of the strong father who protects you and keeps you safe, a reliable energy that keeps you stable and grounded. You can tap into its power by recalling your past experiences where you act like a strong father who protects your loved ones or yourself from harm and brings them to safety. You identify yourself as the pleasure seeker, the free spirited child seeking fun, you are unreliable and compulsive. The second chakra located in your pelvis is a feminine energy that is represented by the seductress archetype. It’s related to your sensuality, sexuality, pleasure, and ease. You can enhance its power by remembering the time when you feel sensuous, beautiful, being totally in touch with your emotions and your playful side. Embrace the seductress feminine inside you and all the pleasurable moments you have had. You identify yourself as the hero, the righteous warrior who restlessly seeks adventure and things to conquer, you are overly courageous and aggressive. The Warrior is the archetype of your masculine third chakra in the solar plexus. It’s linked with power, courage, and aggression. Focus on your solar plexus chakra and dig in your core and look for the warrior masculine. It will provide you courage to conquer obstacles and push yourself forward. The warrior energy ignites your fire to achieve your goals. You identify yourself as the nurturer and protector, the loving mother of all life that cares and loves everything unconditionally, you are overly kind. Your fourth chakra is in your heart center and is represented by the feminine energy of the loving mother archetype. It’s the energy of the divine mother, compassionate, gentle, healing, connecting. Tap into its power by remembering the time when you were full of love, compassion, and a feeling that other people are your family. Because the heart is the home of the divine mother, when you’re fully in tune with it, you will feel deep unconditional love for yourself, others, and everything around you. You identify yourself as the leader of your friends, the teacher and the one who is in control of everyone, you are perfectionist. The fifth chakra in the throat that pertains to authenticity, self expression, and life purpose is represented by the great leader archetype. It guides you to act as the leader and have your voice heard. The leader energy helps you achieve your life purpose, lead others and care for them. The great leader archetype helps you to use your talent and skills in helping others grow and achieve their purpose. You identify yourself as the wise counselor, the intuitive mystic who gives the best advices, you are overly fantasizing. Your fifth chakra found at the third eye is represented by the wise intuitive archetype. It’s related to intuition, vision, and psychic abilities. As a feminine chakra, it speaks to you as an inner knowing, the seer who knows things beyond logic. You access its power when you feel your intuition is strong, follow the inner voice, and allow it to guide you exactly where you need to go. The wise intuitive archetype encourages you to listen and trust your inner knowing. You identify yourself as the one who is superior to everyone around you, the powerful king or queen everyone should respect, you are overly hurt by criticism. The seventh chakra above the crown is where all your parts are unified. It’s where all the archetypes come together, unite all its energies, and makes you one with the Spirit. In the crown chakra, the masculine and feminine energies become you. As you integrate all the energies, you become powerful, vulnerable, and everything that you are.